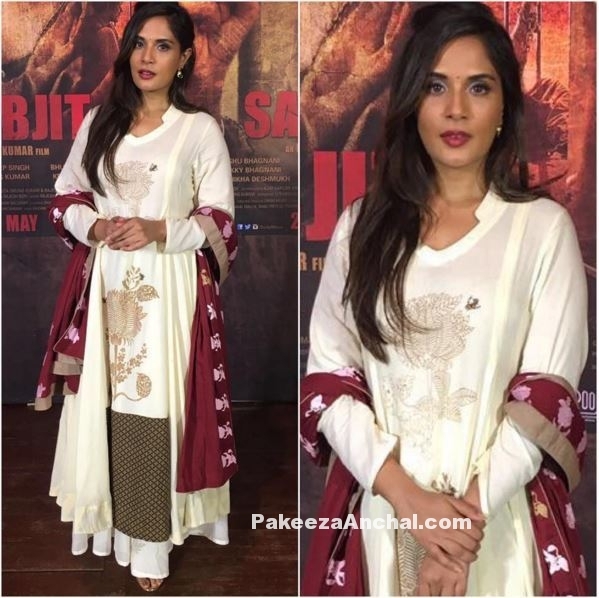 Richa Chadha seen in a white Anarkali Suit with a light collar design and floral self embroidery with a red shawl type dupatta designed by Natasha J label during the movie promotion on Sarbjit. Richa Chadha was seen in minimal makeup with red lips and side swept hairs. Neha Dhupia is all set for her upcoming movie release and is busy in promoting her new movie Santa Banta Pvt Ltd with Lisa Haydon. Neha Dhupia wore a high collar neck choli along with Blue Lehenga by Natasha J label. She looked awesome in this summer special outfit to look cool. Bollywood Actress Swara Bhaskar was seen in a White classic gown with a front zipper and pink thread floral design by Natasha J label. 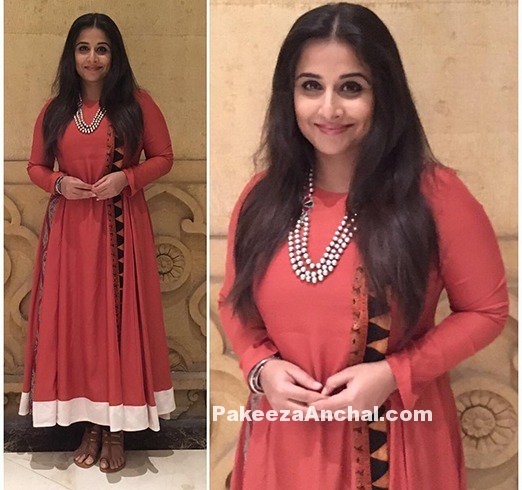 She looked pretty in ethnic dresses during the fashion week and also wore a big Mang tika on her forehead.